I know there was more great jazz in town this week, but I only got out twice. But Saturday it was nonstop music all day at the Dakota Street Fest, and last night it was Karrin Allyson. It was as rich as any week. 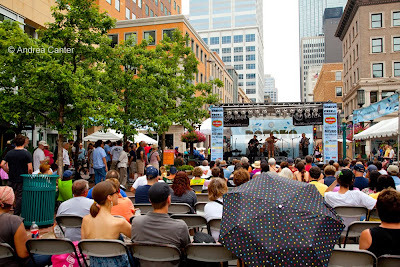 Dakota Street Fest, Nicollet Mall (7/16). There was something for everyone, from the diverse 27 bands on four stages to Kidsville to fire dancers and Dakota Dogs. You could get your face painted while listening to prodigious high school jazzers, walk over to Peavey Plaza for the Maud Hixson Quartet, back down the mall to hear Sharon Little or dance to Davina and the Vagabonds, or seek refuge from the heat inside the Dakota where Bobby Lyle and Irv Williams made jazz love, supreme. It was hard to separate Lowell Picket from Kidsville’s Mr. Fun. (Full review on blog, 7/18). Karrin Allyson at the Dakota (7/20-21). If I wasn’t heading out of town, I would have stayed for the late set and booked a second night. For those expecting a lovely but somewhat morose night of heart-tugging ballads from her recent Round Midnight, there were many upbeat surprises as Karrin covered the full range of her career, from Rio to downhome blues, from Mose Allison to Paul Simon to Duke Ellington. The constant, in addition to her impeccable band and her own sparkling piano, was Karrin’s love of each song, each story, a joy that seeped into the cracks of the most melancholy melody. As for the perennial question, “Was this Karrin’s best show yet?”-- I am taking myself out of the debate. How many facets make a perfect diamond? 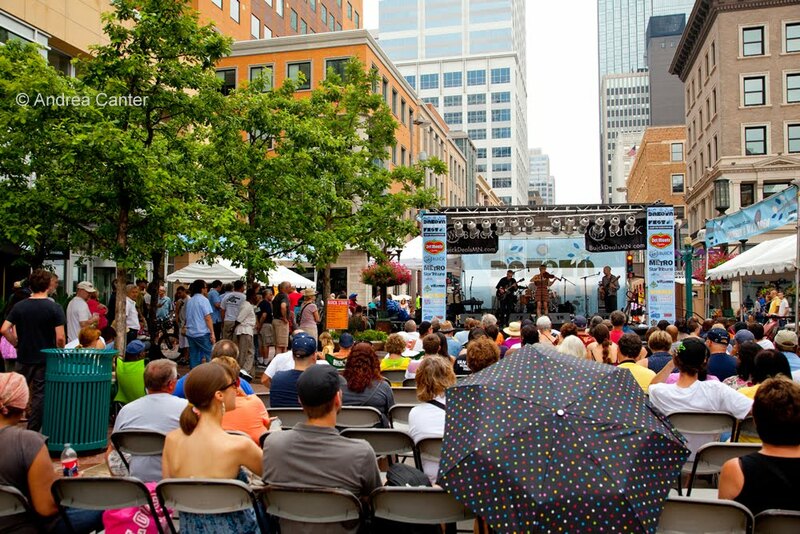 Photos: (top), Nicollet Mall was transformed into an outdoor music club at Dakota StreetFest, and the crowds kept coming all day; (bottom) Karrin Allyson on her "home" stage at the Dakota Wednesday night. Rene Marie: No Shortage of "Imagination"